I love using my slow cooker. I’ll happily use it all winter and summer long. The best part is the whole “set it and forget it” aspect. 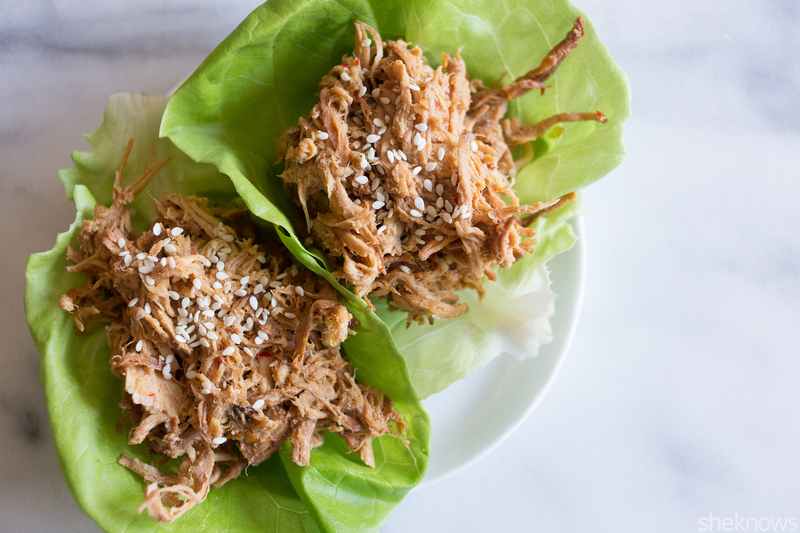 For these lettuce wraps, I threw in a few simple Asian ingredients, added in my chicken breast and slow-cooked until perfection. After it was done cooking, I added it to some crispy lettuce wraps and sprinkled it with toasted sesame seeds. If you love your wraps spicy, drizzle them with Sriracha sauce! To a large slow cooker, add the stock, hoisin sauce, garlic, soy sauce, honey, ginger, lemongrass, chili paste and fish sauce. Whisk to combine. Add in the chicken breast, toss to combine, and cook on high for 4 hours. After 4 hours, remove the chicken from the slow cooker, and shred it. Add it back to the slow cooker, and toss with the juices. 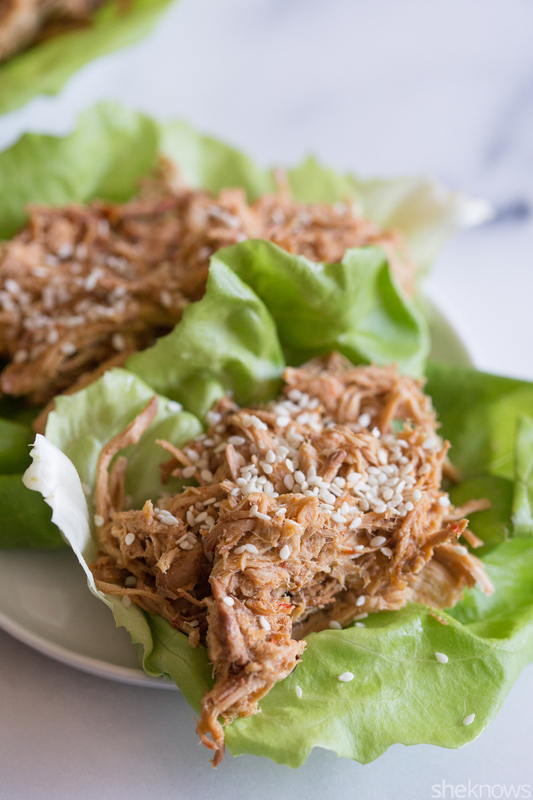 Add the shredded chicken to the lettuce cups, and top with toasted sesame seeds.